Click HERE for Star Trek comics, collectibles, and more! It’s time to boldly enter an awesome contest, Trekkies! After a productive meeting in the USS Enterprise, Midtown Comics has happily agreed to join forces with Star Trek: Mission New York! Not only are all three Midtown Comics locations (Times Square, Grand Central, Downtown) selling tickets, but now we’re going to giveaway a pair of tickets and a limited edition poster! Will you be the lucky winner of this supremely stellar contest? Enter below to find out. Best of luck, everyone, and we hope you all live long and prosper! 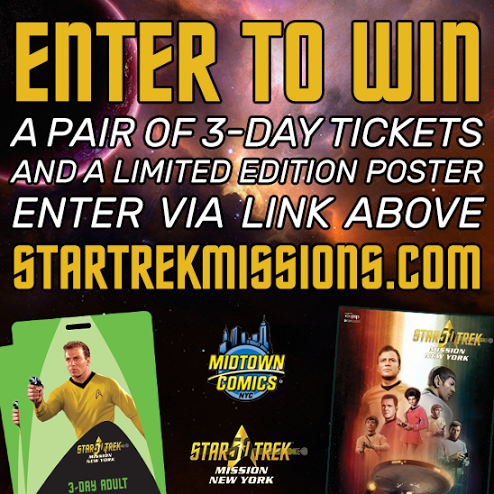 Star Trek: Mission NY Tickets at Midtown Comics! 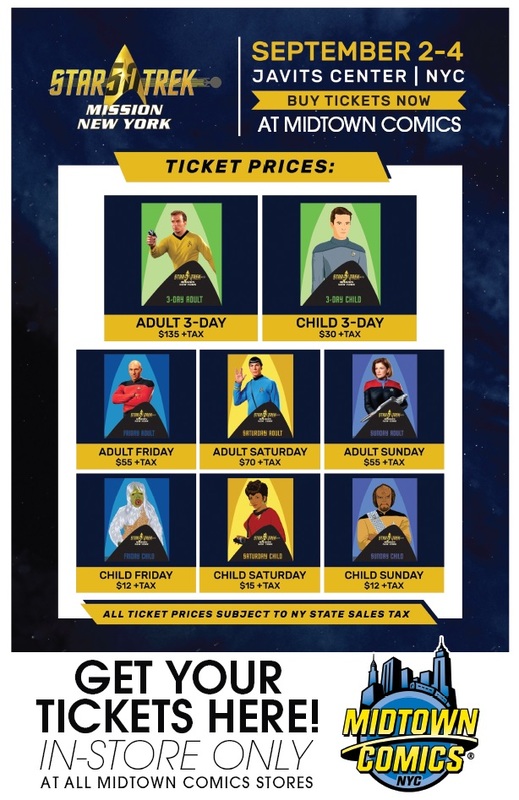 It’s time to boldly go to Star Trek: Mission New York! The can’t-miss cosmic event will take place in the Javits Center in NYC! Starting today – Monday, July 18th –all 3 Midtown Comics stores are selling tickets. Tickets are ONLY available in store. 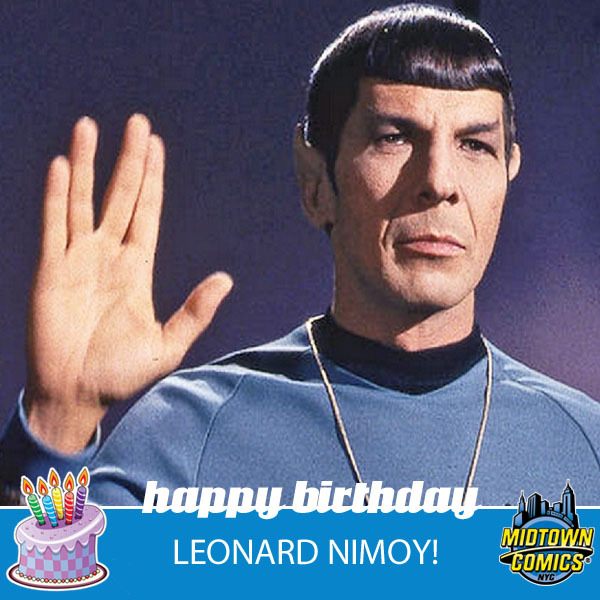 Leonard Nimoy won accolades, awards, and three Emmy nominations for a finely tuned, nuanced portrayal of a conflicted man torn between his Vulcan heritage and his emotional human side. We cheered the rare moments that Mr. Spock found happiness, and shed a tear when he found sadness. Mr. Spock would never admit to having a lighter side, but his ribbing of Dr. McCoy, his sarcastic asides while raising an eyebrow (yes, one eyebrow), and his friendship with, and unyielding loyalty to Captain Kirk, were all part of the adventure. Love comic book TV shows and movies? Yeah, we thought so. 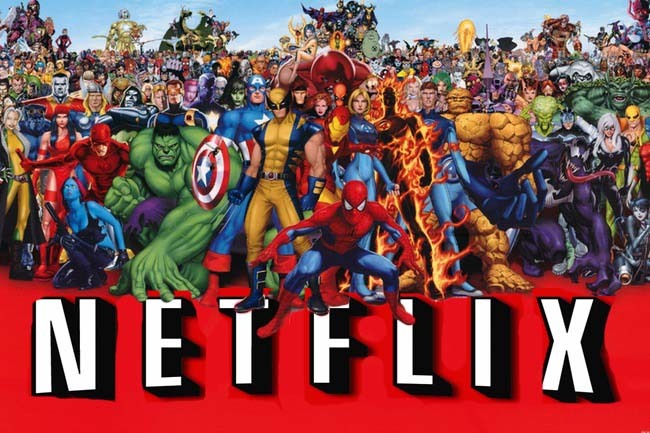 For your binge watching convenience, we’ve gathered a list of some of the best comic book television series and films available to stream on Netflix. Depending on what you’re in the mood for, Netflix has you covered with some of the hottest new shows such as Marvel’s Daredevil, Agents of S.H.I.E.L.D., and Arrow! What’s more, if you’ve been itching to re-watch some of your favorite comic book movie classics such as Star Trek II: The Wrath of Khan, Hellboy, and many others, you’re in luck! 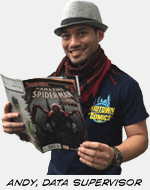 You can even re-visit our very own Comic Store Heroes! We hope you enjoy the complete list that follows and please feel free to share your thoughts in the comments section below! Bloggerinos! Raph here, back from a long absence. The reason for this absence is a sad one: I’m no longer a member of the Midtown Comics Times Square staff. I’ve spent the last six years at Midtown Comics Times Square, two of them as the floor manager, and I’ve made a lot of friends and had a lot of terrific memories. Here are just a few memories I’d like to share with you. Star Trek helmsman and internet sensation, George Takei comes to Midtown Comics! Check out our interview with actor George Takei and creator Dan Parent about the all new Kevin Keller #6 from Archie Comics!